Needless to say the United States will not be attending. However, according to Iran’s Mehr News Agency, more than 60 countries will be at the conference. 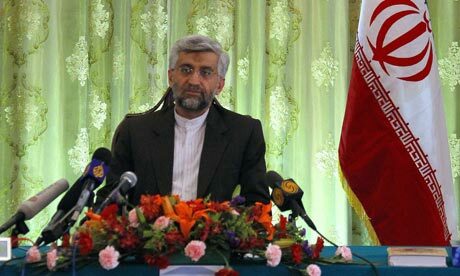 Iran’s top nuclear negotiator, Saeed Jalili, said China will be present. However, a Chinese Foreign Ministry official said Beijing has not yet decided. It’s unlikely the scheduling of the conference so soon after the U.S.-Russia nuclear weapons agreement is a coincidence. Ahmadinejad is as politically savvy as he is controversial. But the real story is not that “black sheep” Iran is hosting a conference on nuclear disarmament, or at least it shouldn’t be. The real story is that the United States is so bent on isolating Iran that it’s shunning a chance to discuss and possibly learn more about Iran’s nuclear program. Perhaps Iran and Ahmadinejad are not to be trusted. But ignoring and demonizing a historically peaceful country and potential ally is simply bad foreign policy. Why not attend the conference? Is the United States as sure of Iran’s destructive determination and lust for “weapons of mass destruction” as it was with Iraq? Why is it that the United States so fears a nuclear Iran? Does a nuclear Iran pose a greater threat than that of a nuclear Russia or China? Nasser’s comment is insightful; especially his accusation that the nuclear weapon states designed the NPT to control other states from obtaining that which they already had. Often, opponents of a nuclear Iran claim the nation to be “unstable” and “radical.” How can the international community trust a rogue nation with such powerful weapons? The answer is the same way in which it trusts the United States, Russia, China, France, the United Kingdom, North Korea, Pakistan, India and Israel. To be sure, an nuclear Iran is worrisome. Any increase in the destructive potential of nuclear weapons is worrisome. But Iran poses no more of a threat than of its nuclear neighbors. It definitely does not pose a threat equal to that of the dominant world powers of China, Russia and the U.S.
At the heart of the debate over who should be allowed to have nuclear weapons is the issue of national sovereignty. Powerful nations such as the U.S. and Russia should not have authority over smaller nations simply because of their status. Iran, like the U.S., is a sovereign nation. It has a “right” to make internal decisions as it sees fit — including the regretful decision to develop nuclear weapons.